Although TSMC is already employed by major silicon players such as AMD, Nvidia and VIA to make chips, it’s not often you see Intel requiring the services of a third fabrication party. 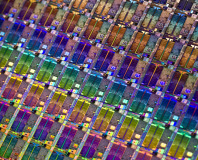 Intel prides itself on its fabrication plants that give it complete control over its manufacturing facilities, but today the company has surprised the industry by announcing a memorandum of understanding (MOU) with TSMC to manufacture Atom CPUs. Under the MoU, Intel agrees to port its Atom CPU technology to TSMC, which includes Intel’s processes, intellectual properties, libraries and design flows relating to the processor. 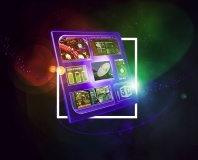 This will effectively allow other customers of TSMC to easily build Atom-based products in a similar way to the way in which they might use an ARM processor in their own designs, which could allow for some more flexible product designs using Atom. Explaining the move, Intel’s president and CEO, Paul Otellini, said that Intel believes the agreement "will make it easier for customers with significant design expertise to take advantage of benefits of the Intel Architecture in a manner that allows them to customise the implementation precisely to their needs.” He also added that "the combination of the compelling benefits of our Atom processor combined with the experience and technology of TSMC is another step in our long-term strategic relationship." Meanwhile, TSMC’s president and CEO, Rick Tsai, said that "we expect this collaboration will help proliferate the Atom processor SoC [system-on-chip] and foster overall semiconductor growth," adding that “with this agreement, our technology platform extends beyond the two companies’ current collaboration to support future Intel embedded x86 products." Intel was also keen to point out that it will still continue to manufacture Atom CPUs and Atom-based system-on-chip products in its own fabrication facilities. The companies haven’t yet revealed a timeframe or any specifics about products that will be produced at TSMC yet. Is this a wise decision for Intel and TSMC? Let us know your thoughts in the forums. 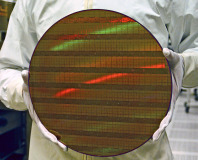 Rumour has it that TSMC was forced to halt 28nm production as it re-tools to meet unexpected demand.